Berlin is not only Germany's political center - it has been ground zero for art, fashion and alternative lifestyles for more than a century. Avantgarde was born here and eccentricity comes easy in this city that was once torn apart and looks back at a rollercoaster history. Berlin is a survivor with a most inspiring message. This inspiration is tangible in the collection of hairstyles created by Caterina DiBiase that carries the name of this magnificent city. Extreme and extravagant looks are taken to the limit and then even further. Their character is bold, even harsh but with a tender sensitivity of guarded emotion. 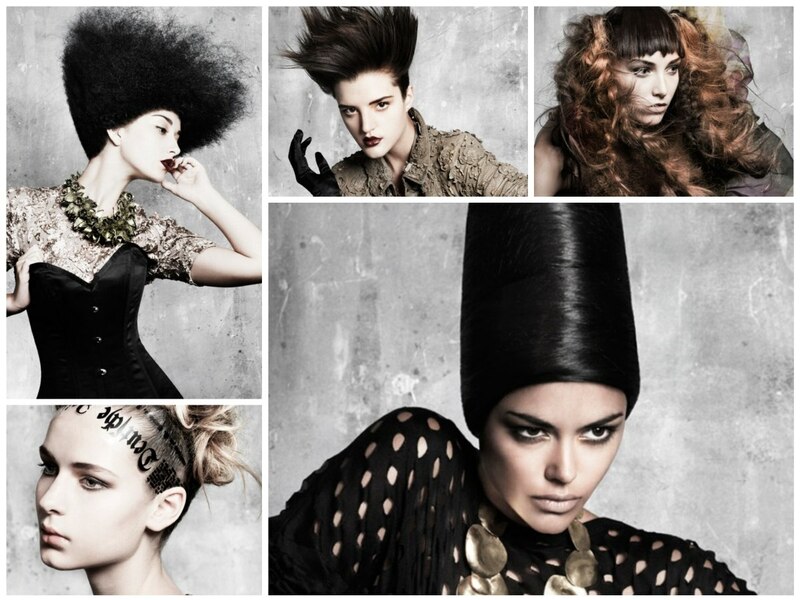 Precise cuts mingle well with intense styling and the natural, yet equally strong colors. Dare to express yourself. Dare to be outrageous, luscious, lascivious and live as boldly as you can. 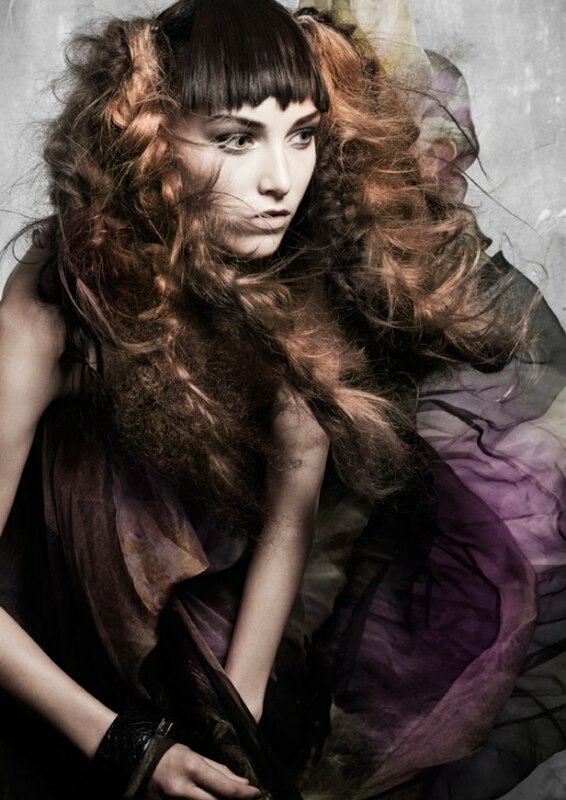 This grandiose mix of textures may not be for every day wear, but it is a beautiful example of the creative possibilities that come with artistic treatment of hair. A flowing mass of braided, tangled, teased and furry hair is attached to a more demure, sleek and dark base cut. The wide fringe is cut in a jagged but still soft pattern. Contrasting elements and colors bring about an inescapable whirlwind of avantgarde energy with a warm and fuzzy feel. 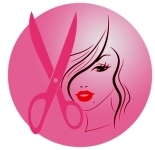 The frosty nature of cut and color should not deter but invite for curious inspection. Platinum coolness with super straight lines is shaped to a jaw length bob. The partition is slightly off to the side, with the one-length hair tugged mischievously behind the ear. The simplicity of this cut equals high end elegance. Coolness with a tender spirit and unmatched sensuality. 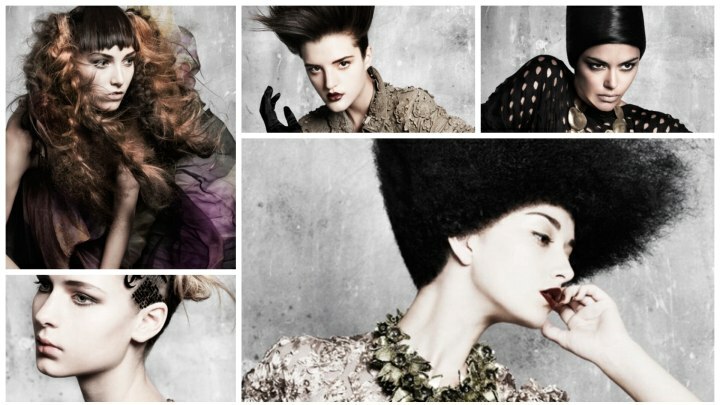 Hair raising styles have been around for a while, but none of them is as elegant as Caterina DiBiase's interpretation. Textured tendrils reach straight up to style heaven and stand out even more in their contrast to the snug fitting, shaped sides. Tips are thinned and shaped with utter perfection to keep an intriguing misty softness among the needle sharp points. The extra dark brown is a little Goth and a lot sophisticated in a very modern sense. Modern fairy tales are made of unusual combinations; surreal creations that combine the mundane with the unexpected. Large ash blonde curls are the key player here, but they dance to their own tune and interweave with each other in a playful swirl. The dynamic bulk of this high motion and high style do is held up by a transparent hairband with a nostalgic newspaper print. A turban of spun black hair extends to an incredible height and outshines even her golden petal jewelry. The very smooth cylindrical shape is balanced around the center of the head and features a distinct but soft line across the forehead, continued around the rest of the head. Steep angles lead the eye up a crinkly, frothy triangle of hair to its frizzy apex. 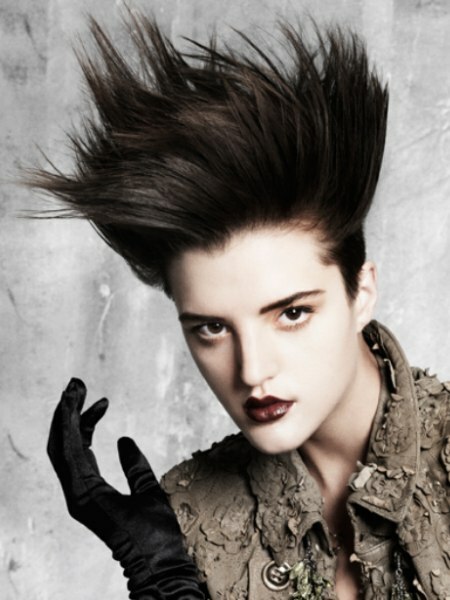 This surreal upstyle is made possible through the unique texture of the hair and the exaggerated graduation of the cut. 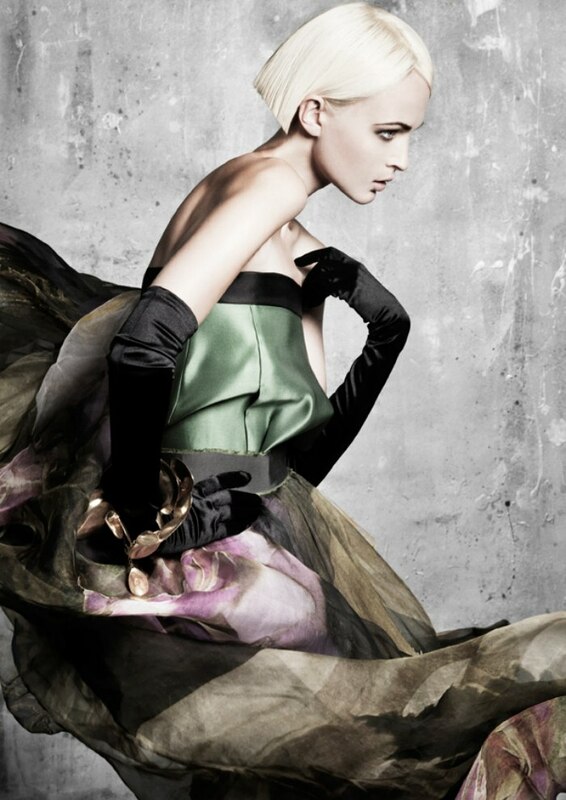 Gravity is thus eliminated and all that left is a geometrical statement, an ode to art and fashion with delightful drama, elegance and unremitting style.